These are some of the questions we are frequently asked. Click on a question for an answer. If you need any further details, please contact us and we will be happy to help. How can I reserve a burial plot? How do I arrange a burial? Can I choose my plot? Will I own my plot and can it be used for future burials? Will a Memorial Tree be planted and can I choose what species? Do your fees include all the costs of a funeral? How does a natural burial compare with alternatives? Who will arrange for a grave-digger? Do you limit the time allowed for a burial? Can we hold a funeral service on site? Are there rules about coffins and urns? Can we leave wreaths, memorabilia or floral tributes on the grave? Can we visit the Burial Ground at any time? Who will look after the grave plot? What will happen to the burial ground eventually? 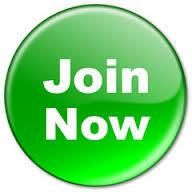 This site has links to various information sheets and the forms you need to apply for membership or request a burial. These are in PDF format which you can save or print. You are free to decide exactly what you and your family want. The burial can be just a simple interment with little or no ceremony or you can hold a religious or secular ceremony to be led by a minister or celebrant of your choosing. The burial site is not consecrated ground but you can have your plot blessed in accordance with you own beliefs. Many families have a funeral service at a church before proceeding to the burial ground but you are welcome to hold a ceremony in our Field Shelter. This is 5.4m x 3.6m and can accommodate up to about 20 people. Will a Memorial Tree be planted? A Memorial Tree is included with all standard 9 ft x 3.5 ft charted plots. We only plant native British trees but some species are not available as they either do not flourish on our site or suffer from common diseases. You can choose from a wide variety from our approved trees list . As part of our role in good woodland management we may, after a minimum of 15 years, remove some trees – especially those that have not grown well – to thin the planting and allow those remaining to thrive. As trees cannot be regarded as long-term fixtures, we encourage the placement of a slate memorial plaque to identify graves on a more permanent basis. Who will look after the grave? We maintain the burial ground by cutting the grass in the unused areas of the site and the various pathways and we also employ a professional horticulturist to look after the trees and undertake essential pruning, thinning and general maintenance. As our aim is for the site to become a natural woodland, we do not cut the grass or weed around the grave plots. Some families like to tend their graves regularly and keep them tidy; we do not encourage this but do not object. Under no circumstances is it permitted to use herbicides (weedkillers) anywhere on the site. We offer a grave-tending service; please see our Options order form. 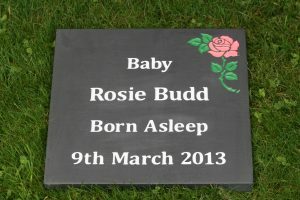 No, we only allow burials to be marked with a simple slate Memorial Plaque. Memorial plaques are optional and not included in our fees. You can order a plaque using our Options order form. It is our intention that the burial ground ‘reverts to nature’ and, whilst we keep a record of each grave position, graves will become difficult to locate as the surrounding trees and shrubs mature. Relatives and friends are therefore encouraged to place an engraved slate plaque at the head of the grave. An engraved memorial slate should be placed AT THE WEST END of the grave (This is the end nearest the road). This can be placed either by yourself or we will do this for you. We reserve the right to approve the design and wording used on plaques. For further details see our Memorial information sheet. The availability of a grave-digger is often the critical factor in deciding a date for a burial. If you are using the services of a funeral director, they will generally appoint a grave-digger otherwise we will be pleased to advise and, if necessary, make suitable arrangements for you. The cost of grave-digging is not included in our fees and you will have to pay the grave-digger’s charges separately. You will find some local grave-diggers in our links section. If ashes are to be buried we will normally dig a suitable pit; we will confirm a charge before doing so. Cremated remains (ashes) may be buried or scattered at our burial ground. 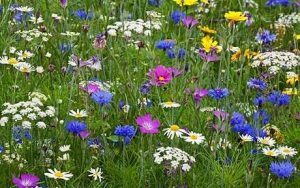 For a single person’s ashes, we offer a single 3 ft x 3 ft plot which will be covered with wildflower turf. Should you prefer to have space for up to 5 further family members to have their ashes interred alongside the first, we recommend a standard 8 ft x 3.5 ft plot which will have a Memorial Tree included. There is an administration fee of £100 for each interment after the first. If it is not important for you to be able to easily locate where ashes are buried or scattered, ashes can be buried among our established plantation areas. The cost is less but we are unable to record the exact spot and it may be difficult to find it after some years of tree growth. In all cases, we encourage you to place a Memorial Plaque to mark the location. How does a natural burial compare with the alternatives? Burial at the Yealmpton Woodland Burial is both more environmentally-friendly and less expensive than cremation. Whereas typical cremation costs (in the Plymouth area) are typically £915 and allow for only a hurried 30 minute ceremony, our burial fee is £800 (£750 for members) and there is no time restriction. Do your fees cover all the costs of a funeral? Our fees include a burial plot (or the right to scatter ashes), a Memorial Tree with all standard 9 ft x 3.5 ft plots and wildflower turf with single 3 ft x 3 ft plots for ashes. They do not include the cost of grave-digging or the services of a funeral director. Most funeral directors offer pre-paid funeral plans which allow you complete peace of mind about future costs and, generally, can cover everything except a burial plot. For that reason, becoming a member of Yealmpton Woodland Burial completes a funeral plan. A Memorial Tree is included with all burials or scattering of ashes. We only plant native British trees but some species are not available as they either do not flourish on our site or suffer from common diseases. You can choose from a wide variety from our approved trees list . Our rules require that no plastic or non-biodegradable materials be brought onto the site. However, we recognise that most florists wrap flowers in cellophane and use plastic frames or plastic ‘oasis’ blocks when constructing wreaths and floral tributes. 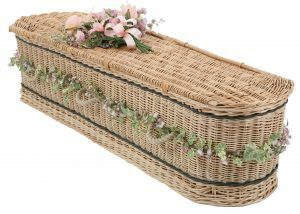 We understand that nobody wants to worry about these matters at the time of a funeral and are quite happy to waive our rules on the day and for a short period afterwards – but we do ask that arrangements are made for someone to return and clear away all plastic within a couple of weeks after the burial. Any tributes or ornaments which do not comply will be removed: non-perishable items may be placed in the Field Shelter but will be disposed of if not collected within 14 days. We regret that we are not always able to notify offenders when items are removed. If you are using the services of a funeral director, they will generally be happy to make all the necessary arrangements with us but, otherwise, you can apply now. 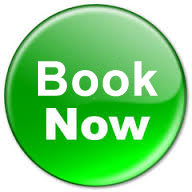 Before you complete the form, please telephone us to check available dates. If you want to reserve adjacent plots for family members, you will need to complete a Membership Application form for each person. Fees are one-off payments and there are no further subscriptions neeeded. If you want adjacent plots for family members, you will need to complete an application for each person. Yes, members and their friends and family are free to visit at any time. However, if a burial is in progress, please respect the privacy of the funeral party. The small pedestrian gate is not locked but the larger gate is kept locked to deter fly-tipping or illegal camping. If you wish to drive into the site, just ring us and we will tell you the code to unlock the gate. See Visiting for directions, further details and how to find a grave. As it is critical that we retain the woodland nature of the site, it is essential that you plant ONLY WILD FLOWER bulbs, plugs or seeds and NOT garden varieties. As some backfilling of graves may take place, planting is best left until six months after the burial. We reserve the right to remove any plants not listed in our information sheet as we must avoid hybridisation resulting from cross-pollination. This is important to protect wildflowers in our woodland burial ground and in surrounding land of adjacent landowners. For further details see our Wildflowers information sheet. Yealmpton Woodland Burial was established for people who care for our natural environment. For this reason we require that coffins and urns be made from bio-degradable materials such as soft wood, willow or bamboo which will return to the soil as nature intended and do not impede the growth of seedlings or saplings. Use of just a cotton shroud is also encouraged. We also ask that no embalming fluids, metals or plastics of any kind be brought onto the Ground. We do, of course, permit the burial of implants and prostheses. We do not consider hardwood coffins to be appropriate or sustainable. For further details see our Coffins and Urns information sheet. Memorial plaques are optional and not included in our fees. You will need to order, and pay for, your own plaque conforming to our guidelines. It is our intention that the burial ground ‘reverts to nature’ and, whilst we keep a record of each grave position, graves will become difficult to locate as the surrounding trees and shrubs mature. Relatives and friends are therefore encouraged to place an engraved slate plaque at the head of the grave. An engraved memorial slate should be placed AT THE WEST END of the grave (This is the end nearest the road). This can be placed either by yourself or, if using the Co-op, by us as part of our service to you. We reserve the right to approve the design and wording used on plaques. For further details see our Memorial Plaques information sheet. Who will maintain the grave plot? Whereas typical cremation costs (in the Plymouth area) are typically £825 and allow for only a hurried 20 minute ceremony, our burial fee is £700 and there is no time restriction. You will acquire exclusive burial rights to your plot but not ownership. However, unlike many cemeteries which grant you short-term leases of 25 – 100 years, our woodland plots will never be re-used for future burials. Our grave plots are only used for a single burial. We use relatively shallow graves and, unlike some cemeteries, do not add additional burials in the same plot. You can ensure family members are buried alongside one another by their all becoming members; we then allocate adjacent plots at the time of a first death. If a charted grave plot is used for the burial or scattering of ashes, the ashes of other relatives of the Member may be buried or scattered in the same plot with the consent of the Member or his/her nominated Representative. You are welcome to visit the burial ground and we will be happy to meet you on site and discuss everything with you. If you are arranging a burial now we can explain what plots are immediately available but, if you are becoming a Member to buy burial rights in the future, we cannot allocate a specific plot because we don’t know what parts of the site will then be available. If two or more of your family are members, we can reserve adjacent plots at the time of a first death. Eventually the whole 10 acre site will become mature woodland but we do not anticipate running out of space for new burials until the next century. 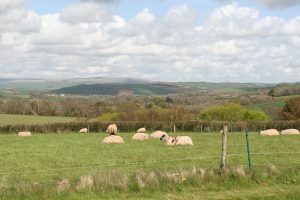 When it is full, the plan is to hand the site over to a suitable conservation trust and the Yealmpton Woodland Burial Association is building capital reserves to enable the future custodians to maintain the site in perpetuity. No, we do not have more than one burial on any day so you are completely free to come at any time and stay as long as you wish. Cremated remains (ashes) may be buried or scattered at our burial ground. Ashes can be buried among our established plantation areas or at their edges with a new tree. In either case, we encourage you to place a Memorial Plaque to mark the location as we are not able to record the exact location of such burials and it can be difficult to find it after some years of tree growth. If it is important for you to be able to locate the burial in future years, we suggest you choose a burial plot as these are charted and we maintain detailed records of where the plots are. The fee is the same as for a normal burial but the plot may be used, with the permission of the original member’s next-of-kin or representative, for additional ashes burials at any time in the future. If ashes are to be buried you may wish to dig a suitable pit yourself; you will need to follow strict guidelines which we will be pleased to discuss with you. Our fees include a burial plot (or the right to scatter ashes) and a Memorial Tree. They do not include the cost of grave-digging or the services of a funeral director. Most funeral directors offer pre-paid funeral plans which allow you complete peace of mind about future costs and, generally, can cover everything except a burial plot. For that reason, becoming a member of Yealmpton Woodland Burial completes a funeral plan.